Professional members shall be persons with paid experience in the field of avian training, husbandry, and/or management for a total of at least three (3) years accumulated over a period of no more than five (5) years preceding the date of application. Professionals shall have the right to vote, hold elective office, and chair and serve on committees. Persons who have actively participated in training, husbandry, and/or management of birds for at least one (1) continuous year within a period of no more than three (3) years preceding the date of application. Active members shall have the right to vote and to chair and serve on committees. Active members shall not have the right to hold elective office. 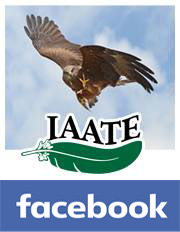 Are interested in supporting the objectives of IAATE. Associate members may chair and serve on committees. They cannot vote or hold elective office. Full-time students interested in supporting the objectives of IAATE. Proof of current student status is required with application. Student members may chair and serve on committees. They cannot vote or hold elective office.